is located, was a seperate city, not a part of London. Please click on a colored section or boxed label of the building above to view the images of that area. Allen, T. The History of London. London: 1827. Baker, Timothy. Medieval London. London: Cassell, 1970. Besant, Walter. 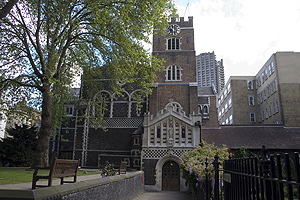 Medieval London: ecclesiastica. London: A. & C. Black, 1906. Bradley, Simon and Nikolaus Pevsner. London : the city churches. London : Penguin Books, 1998. Home, Gordon. Medieval London. London: Bracken Books,1994. Clark, John. Saxon and Norman London. London: H.M.S.O., 1989. Derwent, Kenneth. 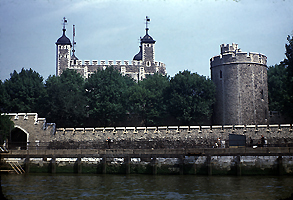 Medieval London: London: Macdonald & Co., 1968. Grimes, W. F. (William Francis). The excavation of Roman and mediaeval London. New York: Praeger, 1968. From Roman basilica to medieval market : archaeology in action in the City of London . London: HMSO, 1992. 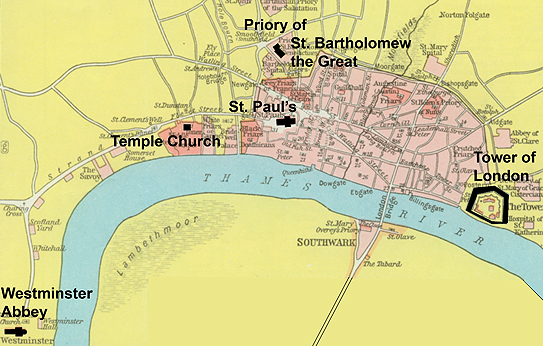 Hill, William Thomson,Buried London: Mithras to the Middle Ages. London: Phoenix House. 1955. 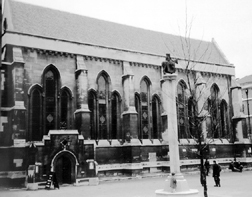 Jenkinson, Wilberforce.London churches before the great fire. London: Society for Promoting Christian Knowledge, 1917. McDonnell, K. G. T. Medieval London suburbs. London: Phillimore, 1978. Medieval art, architecture and archaeology in London, edited by Lindy Grant. London: British Archaeological Association, 1990. Pendrill, Charles. Wanderings in medieval London. New York: The Macaulay company, 1928. 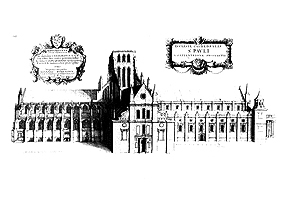 Pevsner, Nikolaus, Sir. London: Part I : the cities of London and Westminster Harmondsworth : Penguin, 1973. Schofield, John. Medieval London houses. New Haven : Published for the Paul Mellon Centre for Studies in British Art by Yale University Press, 1994. Unwin, George. The gilds and Trades of London. 1911. Vince, A. G. Saxon London : an archaeological investigation . London: Seaby, 1990. Williams, Gwyn A. Medieval London: from commune to capital. London: Athlone P., 1970. (Political History, not architecture).